SEAT LEON (1M1) 1.8 20V T. SEAT LEON (1M1) 1.8 20V T 4. SEAT ALHAMBRA (7V8, 7V9) 1.8 T 20V. SEAT ALHAMBRA (7V8, 7V9) 2.0 i. SEAT LEON (1M1) 1.6 16 V. SEAT ALHAMBRA (7V8, 7V9) 2.8 V6 4motion. SEAT AROSA (6H) 1.0. VW GOLF III (1H1) 1.6. VW GOLF III (1H1) 1.8. VW GOLF III (1H1) 1.8 Syncro (1HX1). VW GOLF III Cabriolet (1E7) 1.8. VW JETTA II (19E, 1G2, 165) 1.8 Cat. VW JETTA II (19E, 1G2, 165) 1.6. VW JETTA II (19E, 1G2, 165) 1.8. From 05/1997 - 09/2001. from 10/1991 - 08/1997. from 12/1998 - 09/2001. from 12/1995 - 09/2001. from 11/1995 - 09/2001. from 04/1996 - 10/1999. from 10/1994 - 10/1999. from 07/1995 - 10/1999. VW PASSAT (3B2) 2.3 VR5. VW PASSAT Estate (3B5) 2.3 VR5. AUDI A6 (4B2, C5) 1.8 T. AUDI A6 (4B2, C5) 2.4. MAPCO 22874 Fuel Pump. MAPCO 22874 Fuel Pump - Picture-1. 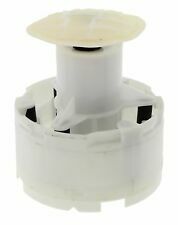 MAPCO 22874 Fuel Pump - Picture-2. 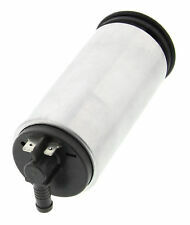 MAPCO 22874 Fuel Pump - Picture-3. Fuel: Diesel. Kraftstoffart Diesel. Orders until 14.00 clock and a max. WILMINK GROUP. The comparison numbers serve only for better identification. 6R0 919 050R. 6R0 919 050E. 6R0 919 050B. Fuel: Diesel. Pressure5 bar. Kraftstoffart Diesel. Orders until 14.00 clock and a max. Druck. 5 bar. Heating / Cooling: For vehicles without extra heating. The comparison numbers serve only for better identification. Fuel pump gasoline 3.0 bar for VW Golf IV 1J1 1J2 Bora 1.4 16V to 2.3 V5. Pressure: 3 bar. Druck 3 bar. Fuel before promotion. Orders until 14.00 clock and a max. The comparison numbers serve only for better identification. Fuel pump gasoline 3.0 bar for VW Golf IV 1J1 1J2 Bora 1.4 16V to 2.3 V5. VW 1GD 919 051B. VW 1J0 919 087. VW 1J0 919 673. Pressure: 3 bar. Druck 3 bar. OE numbers (are for comparison purposes only). Pressure: 0,5 bar. Orders until 14.00 clock and a max. Druck 0,5 bar. The comparison numbers serve only for better identification. OE-no manufacturer. EAN 4043605867407. Marke MAPCO. 7.02701 09.0. Orders until 14.00 clock and a max. The comparison numbers serve only for better identification. Druck 0,5 bar. Marke MAPCO. QUINTON HAZELL. 7.02550. 3 2.0. 3C0 919 050 G. 3C0 919 050 AA. SKODA OCTAVIA (1Z3) 1.6 FSI 115hp (85kW). SKODA OCTAVIA Combi (1Z5) 1.6 FSI 115hp (85kW). Petrol, 1390ccm 2005/01-2006/11 0588-811, 0588-ACQ Chassis number to:1K-7-550 000. Petrol, 1390ccm 2006/05-2008/06 0603-AEM Chassis number to:1K-7-550 000. Fuel pump diesel conveyor unit for VW Passat 362 3 C 2 m. Standheiz. Orders until 14.00 clock and a max. Spannung 12 V. The comparison numbers serve only for better identification. FG1006-12B 1. 7.02701.0 2.0. Fuel pump fuel feeding unit 4 bar for VW Polo 1.4 6R1 seat Ibiza IV 1.2. Pressure: 4,0 bar. Orders until 14.00 clock and a max. Druck 4,0 bar. The comparison numbers serve only for better identification. Petrol, 1781ccm 1998/10-2003/05 7104-511 Year of construction:11/1998. Petrol, 1781ccm 1998/10-2006/06 7118-206 Vin:1-016 001. Petrol, 1781ccm 1998/10-2006/06 7118-208 Vin:1-016 001. Petrol, 1781ccm 1999/10-2006/06. Fuel pump fuel feeding unit for VW Golf VI 5 K 1 Convertible 517 variant AJ5. Orders until 14.00 clock and a max. The comparison numbers serve only for better identification. Druck 4,0 bar. Marke MAPCO. Pressure: 1,2 bar. Fuel before promotion. Druck 1,2 bar. Orders until 14.00 clock and a max. The comparison numbers serve only for better identification. EAN 4043605867346. Marke MAPCO. QUINTON HAZELL. Orders until 14.00 clock and a max. The comparison numbers serve only for better identification. EAN 4043605867339. Druck. 5 bar. Marke MAPCO. QUINTON HAZELL. 3B0 919 050 B. Fuel pump 3,0 bar for VW Golf 3 1.4 1.6 AEA AEE 2.0 Golf 4 Convertible. The comparison numbers serve only for better identification. EAN 4043605098375. Druck 3,0 bar. Marke MAPCO. QUINTON HAZELL. LUCAS ELECTRICAL. Fuel pump Diesel pump Fuel Feed Unit for VW Touran 1.9 TDI 1T1. Fuel: Diesel. Kraftstoffart Diesel. Orders until 14.00 clock and a max. The comparison numbers serve only for better identification. EAN 4043605867353. Petrol, 1043ccm 1993/03-1996/09 7593-355. Petrol, 1595ccm 1999/11-2006/06 3001-718, 3001-747 Engine Code:AKL. Petrol, 1781ccm 1997/06-2000/11 0603-363. Petrol, 1781ccm 1997/06-2000/11 0603-364. Petrol, 1984ccm 2000/04-2000/11 0588-792, 0588-AEV Engine Code:ASU. Orders until 14.00 clock and a max. The comparison numbers serve only for better identification. Druck 0,6 bar. Marke MAPCO. QUINTON HAZELL. 7.02550 26.0. 1K0 919 050 FROM. 1K0 919 050Q. VW PASSAT (3A2 35I) 1.8 107hp (79kW). VW PASSAT (3A2 35I) 2.0 115hp (85kW). Fuel Petrol. Petrol, 1781ccm 1988/04-1993/07 0600-737 Year of construction:03/1990. Petrol, 1781ccm 1988/04-1992/07 0600-738 Year of construction:03/1990. Orders until 14.00 clock and a max. WILMINK GROUP. The comparison numbers serve only for better identification. WG 1026160. VW TRANSPORTER / CARAVELLE MK V bus (7HB, 7HJ, 7EB, 7EJ, 7EF) 1.9 TDI 85hp (63kW). VW TRANSPORTER MK V flatbed/chassis (7JD, 7JE, 7JL, 7JY, 7 1.9 TDI 85hp (63kW). VW TRANSPORTER MK V box (7HA, 7HH, 7EA, 7EH) 1.9 TDI 85hp (63kW). ). Fuel Type : Petrol. SEAT 1H0 919 651K. SEAT 1H0 919 651P. SEAT 1H0 919 651Q. FORD 96 VW9H307AA. FORD 1 047 280. VW 4B0 906 087E. VW 8E0 906 087D. AUDI 4B0 906 087E. AUDI 8E0 906 087D. Electrical Accessories. LUCAS ELECTRICAL FDB1061. OE numbers (are for comparison purposes only) Druck 4,0 bar. Fuel Petrol. Petrol, 3199ccm 2002/05-2008/05 0035-484, 0035-AAR. Petrol, 3199ccm 2001/03-2007/08 3003-537. Petrol, 5439ccm 2001/10-2002/06 9648-380. Petrol, 1043ccm 1982/05-1986/10 0600-576 Vin:80 - J-180 001. Fuel Petrol. Petrol, 1595ccm 1994/10-1998/05 0600-959. Petrol, 1984ccm 1993/07-1998/05 0600-928 Engine Code:ADY, AGG, AKR. Petrol, 1595ccm 1994/07-1999/04 0600-958, 0603-401. Petrol, 1984ccm 1995/08-1996/04. Fuel pump fuel feeding unit 1.2 bar for VW Golf III 3 1 H 1 Variant 1 H 5. Pressure: 1,2 bar. Orders until 14.00 clock and a max. Druck 1,2 bar. The comparison numbers serve only for better identification. Audi 80 (89, 89Q, 8A, B3) 2.0 quattro 115hp (85kW). Audi 80 (81, 85, B2) 1.8 CC quattro(85Q). Audi 90 (81, 85, B2) 2.2 E quattro 120hp (88kW). Audi 90 (81, 85, B2) 2.2 E quattro 136hp (100kW). Audi 90 (89, 89Q, 8A, B3) 2.2 E quattro 136hp (100kW). SKODA 6R0 919 050B. SKODA 6R0 919 050E. SKODA 6R0 919 050R. VW 6R0 919 050B. Fuel: Diesel. VW 6R0 919 050E. VW 6R0 919 050R. SEAT 6R0 919 050B. VW 3D0 919 087B. VW 3D0 919 087F. VW 3D0 919 087M. AUDI 3D0 919 087B. AUDI 3D0 919 087F. AUDI 3D0 919 087M. OE numbers (are for comparison purposes only) Your Benefits. VW 3C0 919 050A. VW 3C0 919 050C. VW 3C0 919 050N. VW 3C0 919 050P. VW 5NZ 919 050B. VW 5N0 919 088D. VW 5N0 919 088E. VW 5Z0 919 050. VW 3AA 919 050 B. VW 3AA 919 050 F. VW 3AA 919 050 H. OE numbers (are for comparison purposes only) Electrical Accessories. VW BORA (1J2) 1.9 TDI 115hp (85kW). VW GOLF MK IV estate (1J5) 1.9 TDI 115hp (85kW). VW BORA Estate (1J6) 1.9 TDI 115hp (85kW). VW GOLF MK IV (1J1) 1.9 TDI 115hp (85kW). VW NEW BEETLE Convertible (1Y7) 1.9 TDI 100hp (74kW). Seat IBIZA MK IV (6L 1) 1.4 16V 100hp (74kW). Seat IBIZA Mk III (6 K 1) 1.4 16V 100hp (74kW). Seat IBIZA Mk III (6 K 1) 1.4 60hp (44kW). Seat IBIZA Mk III (6 K 1) 1.4 16V 75hp (55kW). Petrol, 1390ccm 2000/05-2002/10 Engine Code:APE. MAPCO 22301 fuel pump BMW CITROËN FIAT OPEL PEUGEOT SEAT VW. Fuel Petrol. Pressure [bar] 3Bar. We are committed as a distributor of batteries to take back old batteries. Products with built-in batteries are exempt from this. Orders until 14.00 clock and a max. The comparison numbers serve only for better identification. EAN 4043605867391. Druck 4,0 bar. Marke MAPCO. Pressure: 4,0 bar. QUINTON HAZELL. 3B0 919 051C. From 08/1995 - 04/1999. from 05/1991 - 03/1999. from 08/1995 - 04/1996. Construction year from: 1997/01. from 07/1993 - 04/1999. from 11/1996 - 03/1999. Engine Code: AAM. Engine Code: ABS, Construction year to: 1995/12. Fuel Petrol. Petrol, 1984ccm 1993/02-1999/06 7593-365, 7593-416 Manufacturer Restriction:VDO. Petrol, 1984ccm 1996/08-1999/06 7593-387, 7593-418 Manufacturer Restriction:VDO. Petrol, 1595ccm 1993/01-1999/03 7593-372 Manufacturer Restriction:VDO. Pressure: 3,0 bar. Druck 3,0 bar. Orders until 14.00 clock and a max. The comparison numbers serve only for better identification. EAN 4043605867438. Marke MAPCO. Orders until 14.00 clock and a max. The comparison numbers serve only for better identification. 3AA 919 050 H. 3AA 919 050 F. 3AA 919 050 B. OE-no manufacturer. VW 5N0919051G. VW 5N0919087E. VW 5N0919087F. VW 5N0919087G. VW 5N0919087H. AUDI 5N0919051G. AUDI 5N0919087E. AUDI 5N0919087F. Orders until 14.00 clock and a max. WILMINK GROUP. The comparison numbers serve only for better identification. LUCAS ELECTRICAL. 3D0 919 087 L. 3D0 919,087 G. 3D0 919 087 E. 3D0 919 087 C.
Fuel Type : Petrol. VW 1GD 919 051B. VAG 1J0 919 051B. AUDI 1J0 919 673. AUDI 1J0 919 087. VW 3C0 919 050P. VW 3C0 919 050C. Fuel: Diesel. Kraftstoffart Diesel. OE numbers (are for comparison purposes only) Druck 0,5 bar. Marke MAPCO. Your Benefits. Orders until 14.00 clock and a max. WILMINK GROUP. The comparison numbers serve only for better identification. 3D0 919 087M. 3D0 919 087F. 3D0 919 087B. OE-no manufacturer. Fuel: Diesel. Kraftstoffart Diesel. Orders until 14.00 clock and a max. WILMINK GROUP. The comparison numbers serve only for better identification. Druck 0,5 bar. Marke MAPCO. QUINTON HAZELL.